Before all the boxes are packed, you’ll want to strategize what will happen on moving day. If money is not an issue, hiring a full service moving company can be a great help. In addition, keep in mind your loved one’s health when deciding how they should travel to their new home. A long road trip may be most cost effective, but isn’t a good choice for anyone with health concerns. Discuss with your family and caregivers what the best choice will be in your individual circumstances. 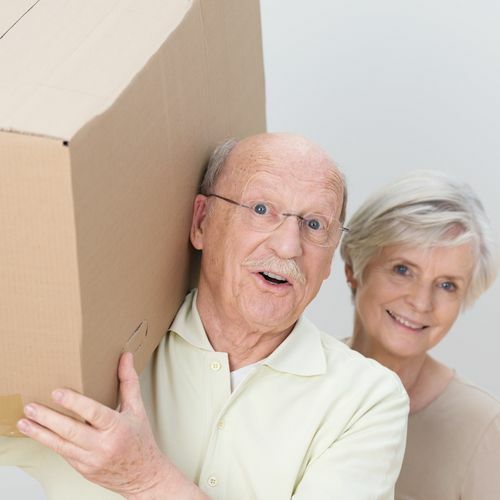 Although moving an elderly loved one is a big job that can weigh heavily on those involved, it doesn’t have to be a chaotic or upsetting process. Follow the tips above to ensure your loved one’s move is a smooth one.